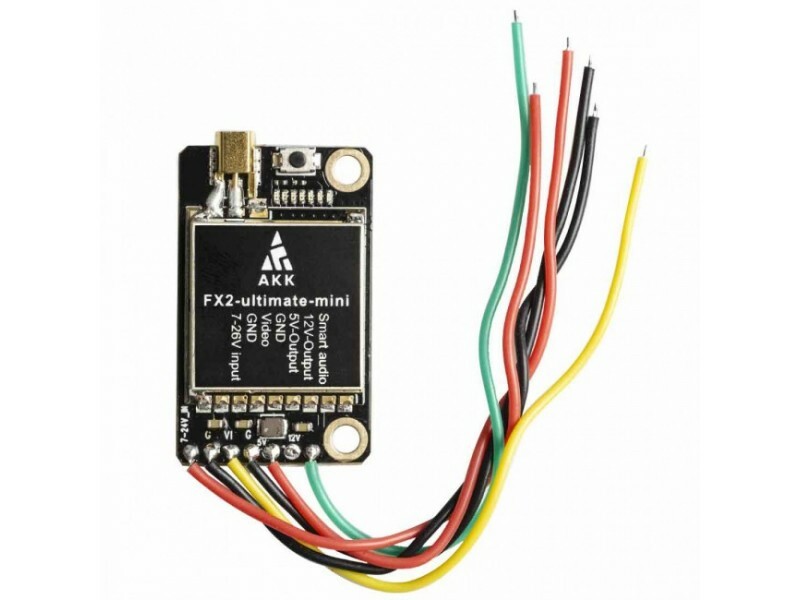 AKK FX2 Ultimate Mini with FCC compliant frequencies. 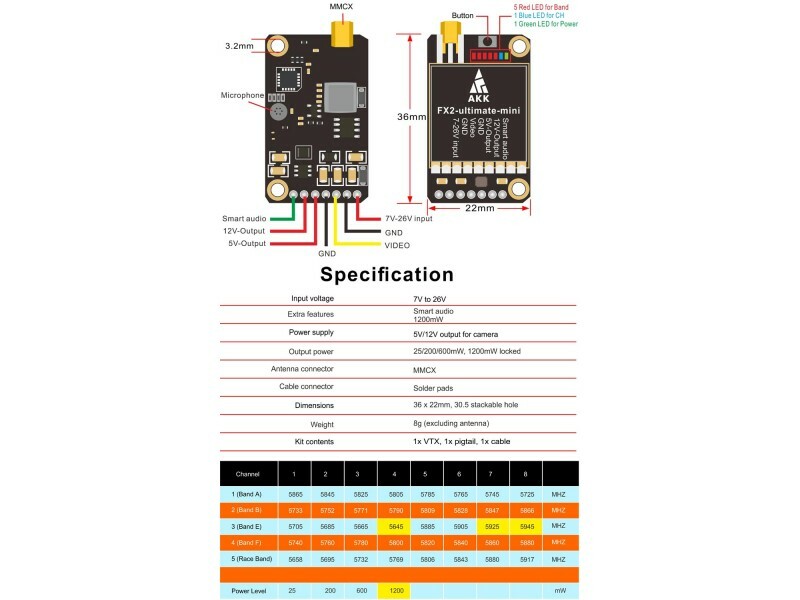 New features include solder on connections, selectable 5V/12V camera power supply and a 'half-board' form factor with mounting screw holes to fit on top of your full size stack. 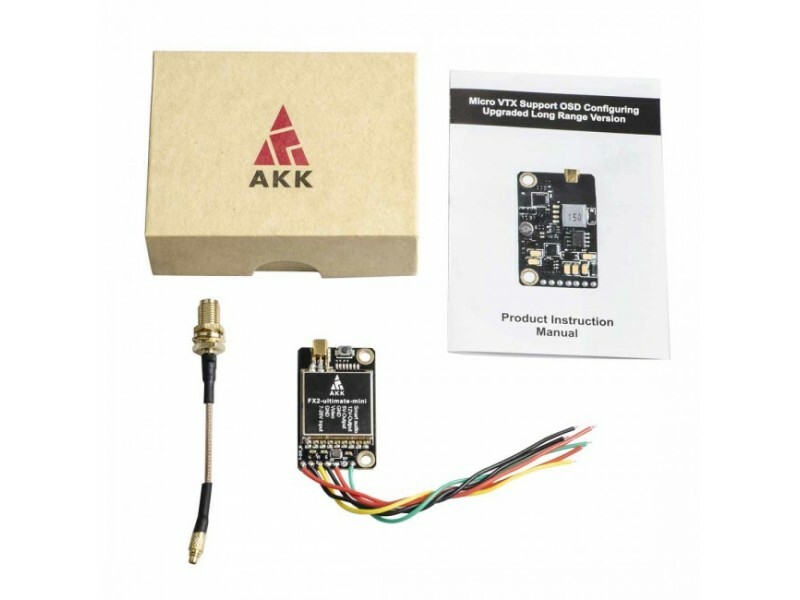 VTX has 5V&12V output to camera. 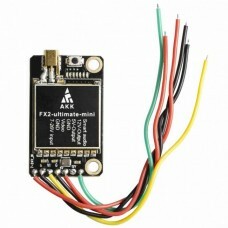 Please solder 5V camera to 5V-out solder pad, or solder 12V camera to 12V-out solder pad. Never solder 5V camera to 12V-out solder pad or solder 12V camera to 5V-out solder pad, which may damage camera.